That is a perennial question asked by all philosophers and seekers of life. The question can be best answered at two different levels. At one level we are all Pure Being, the unbounded absolute infinite Consciousness that pervades the universe. At another level, we are all discrete and unique beings, differentiated by mind, body, ability, DNA, ethnicity, and so on. At the first level we are pure unbounded existence while the second level we are doing and thinking machines or entities clothed in our physical bodily existence. At the first level we see ourselves as living in bliss consciousness, while at the second level we seek happiness in exchanges of mental and physical products with other entities. At the first level we are eternal spirit – unborn and undying. At the second level we are born and then we die. At this level, we can become afraid of death. So we worry about many things, become greedy, and save resources to better guard against death. To live at the first level, we transcend our mind and senses using any of many techniques such as meditation. Living at the second level seems simple and easy, as we can access our mind and body through the use of our ordinary senses and supporting instruments. At the second level we are all separate and each defined individually by our ego- consciousness, while at the first level we are all one together as nature and defined by our eco-consciousness. This is a primary distinction in life. Ignorance of this basic piece of knowledge of who we are is a source of many challenges in living life properly. How we see ourselves depends upon our state of consciousness. From an ego consciousness, we appear to be this body and mind and others, just as others too have their own body and mind, and we interact with them to exchange materials ideas and so on. However, we all have a higher self. Not knowing it is the first and biggest fallacy. There are techniques to learn about the higher self just as there are techniques to learn the bodily and mental self. Our trained and disciplined mind is the biggest instruments for learning about the higher self. What we pay attention to grows in our consciousness. However, this distinction may be of little interest to the poor who do not get even two pieces of bread every day. Meeting their basic physical needs becomes their primary challenge in life, and they do not have the time or energy to transcend. Similarly, this knowledge may be of little interest to the super rich for whom material abundance and physical pleasures have become intoxicating, and who do not believe in the transcendent. This knowledge is perhaps most useful for the middle-of-the-roader , the seeker of a blissful life, free from pain and miseries. If interested, one can learn more at tm.org. Identity (of the self) is a fundamental concept that one develops about oneself that evolves over time. A fixed identity composed of name, relationships, and belongings keeps one locked in small self. How can one proactively evolve or transform one’s identity? First step would be to locate and unfreeze the current identity. Research has shown that there is a part in the brain that is responsible for one’s memory and identity. That part is hippocampus (seahorse-shaped) in the middle of the brain. To transform one’s identity is to change the flexibility of that part of the brain. Yagyas such as AtiRudraAbhishekam when done properly are a great way for self-transformation. Ashwamdetha yagyas are another way to achieve that. Coming from the Vedic tradition, the Ashvamedha is a ritual used by great Indian kings to expand their imperial sovereignty. A stallion would be released to wander for a period of one year. Whatever area the horse would cover in a year, unless challenged, would belong to the king. Then the horse is sacrificed. There are two ways to explain the change in identity: Imagination and Transcendence. Ashwamedha yagyas lets the king’s horse roam freely to as far as it can. Similarly, if the mind is free to imagine itself in the most expansive terms, it could be the broadening or expansion of identity. All of that territory becomes the mind’s. That is the way to understand it from an object-referral method. Ashwamedha yagyas is also seen as the sacrificing the horse. Sacrificing the specificity-oriented mind to give way to a wholeness-oriented self, is the self-referral way of explaining self-transformation. That identity of specificity has to be erased and identity of wholeness has to settle in. Transcendence is the forgetting of specificity and stepping into wholeness. 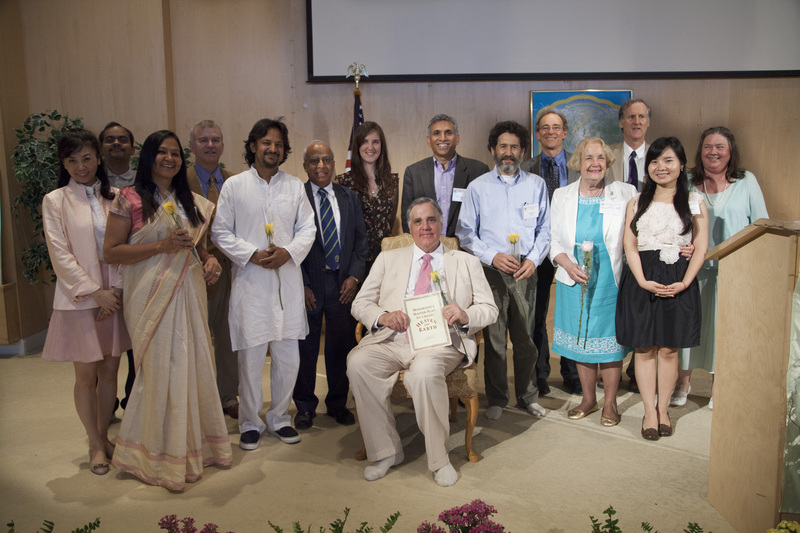 Transcendental Meditation is an effective and proven method for self-transcendence. While both are complementary concepts, Self-transformation through transcendence may be more desirable than self-expansion through imagination. ‘The cost of good health is the cost of good food’ – Maharishi Mahesh Yogi. For good health, please consider this image as a guiding metaphor; from my limited but growing appreciation of AyurVeda (literally meaning Knowledge of Life). YES. Each cell has its own happy individual existence, and a life cycle. Each cell dances to its own tune, while also lovingly cooperating with all others in the body. All that a cell needs is some nutrients, oxygen, and removal of waste. Now consider a flotilla of a few thousand boats going together on the ocean in a smooth way. There would be a certain degree of coordination, and every boat would move along nicely according to its capability. Now comes a particular disturbance or imbalance in that flotilla. Suppose it is caused by a perceived or real attack from outside, on one side of the flotilla. The defense system is engaged. The boats regroup and are re-purposed to deal with that event. Some drown, some gain power, etc. New configurations are created. The boats gaining power could be for the good of the flotilla, or it could be cancerous for the flotilla as a whole. Now consider 100 TRILLION such partially autonomous, or interdependent, boats (cells) moving along. Who can coordinate such a flotilla (body). There could be many internal and external systemic sources of disturbances or imbalances. Each imbalance could be of a particular type. Too fast, call it VATA imbalance. Too angry and intense, call it PITTA imbalance. Too slow or sticky, call it KAPHA imbalance. Thus Ayurveda looks for the dosha (literally means imperfection, fault, or imbalance) in the body as a whole. And then it brings the body back to balance, by some new generally helpful and herbs and practices. It does not heal the body by shocking the system, i.e. not by sudden chemical attacks or invasive surgeries. Those shocks have their own after-effects … such as the flotilla will have to reorganize if a certain collection of boats are removed enmasse from the flotilla. In the absence of proper supplies and services, the cells will fight with each other for nutrition and cleanliness. Chaos and inflammation ensue. External help (allopathic medicines) only exacerbates the imbalance by correcting the problem of some cells of the body, and creating problems for the rest of the cells of the body. Therefore, on a daily basis, we should give the cells good supplies of food and air, and take away the byproducts and toxins. That is all the cells/body want and need. When imbalances do arise, Ayurveda looks for root cause, and slowly brings the body back to harmonious and blissful flow through smooth and gentle intervention. Yoga and meditation suitably support the practice of AyurVeda. Maharishi University of Management held its fourth annual international deep green symposium in Fairfield Iowa on June 26-27, 2015. There were 16 invited speakers, including two from Harvard University, one from India, and many from MUM and around the country to present their research and perspectives on sustainability. The speakers presented their research from philosophical, organizational to technical perspectives in a short 20 minutes. Some of the messages and lessons from the conference were as below. Leopold’s “land ethic” says that “A thing is right when it tends to preserve the integrity, stability, and beauty of the biotic community. It is wrong when it tends otherwise.” Dr. Scott Herriott analyzed the validity of this statement from three philosophical perspectives: Utilitarianism (Bentham, Mill), De-ontology (Kant), and virtue ethics (Aristotle), and found that none of them did full justice to the land ethic. He concluded that the most effective way to cultivate the virtues responsible for environmental sustainability is to develop the consciousness of the individual, and help everyone do spontaneous right action in accordance with natural law. Sustainability refers to a very old and simple concept …do unto future generations as you would have them do unto you! Ms. Vicki Alexander Herriott spoke about ‘Consciousness-based sustainability’, defined as our ability to act in a way that meets the needs of the present without diminishing opportunities for the future. It is based on our level of consciousness, our awareness and experience of the interconnectedness of all things. Nowhere is the sense of memory about the past and their connection to Natural Law deeper than in East Africa. Mr. Jim Schaefer reported on Sustainable Consciousness based projects in Africa, with the purpose to enliven he memory of Natural Law, to enhance connectivity to Natural Law, and to awaken from within the African people the full potential of all Africans to create a sustainable future for themselves. Resilience is a quality akin to adaptability, which is critical for ecosystems to robustly thrive amidst environmental turbulence. Dr. David Goodman spoke about developing resiliency through conservation. He reminded us to Leave No Trace while traveling through the wilderness areas in order to protect these special places for future generations. Progress towards sustainability at the community level depends upon successfully implementing local strategic plans. Dr. Ayako Huang demonstrated that the processes and challenges of the shared action-learning approach to sustainability projects proceeds through five sequential steps. Shifting from fossil fuels to renewable energy requires changes on the individual and community levels. Ms. Anna Bruen explored why and how communities are shifting from fossil fuel consumption towards renewable energy adoption and the relationship between individual action and community transformation, using examples of what a couple of mid-western towns are doing to address their energy needs. Greenhouse gases arise from two primary sources: direct emissions such as from agriculture and waste, and from burning of fossil fuels. There are increasing concentrations of GHGs in atmosphere, and increase in global average temperatures, which lead to various adverse impacts emerging over time. Dr. Robert Stowe of Harvard University showed that there are two major mechanisms to contain and reduce carbon from the atmospheres: carbon cap and trading or a carbon tax. He reported on the discussions between US and China on the technical issues towards a global climate accord in Paris later this year. Managing the product life cycle more effectively can help re-consume all waste, and thus reduce the waste going into landfills. Using the examples of HPs recycling of printer cartridges and others, Dr. Dennis Heaton and his colleague showed that Life cycle thinking helps consider social and environmental impacts not only of one’s own business operations but also of upstream and downstream supply chain partners. As awareness of the whole value stream expands, opportunities for improvement can be seen. The Urbanization project is likely to be completed in our children’s lifetimes. Dr. Anil Maheshwari showed how Data-smart Big cities will become digital governance platforms to responsively and interactively serve a superior experience to their residents. Using the multi-million records data set from the usage of bicycle rentals in the city of Chicago, he showed how collecting and analyzing big data from many sources can help uncover service usage patterns to design better experiences. In contrast, Drs. Lonnie Gamble and Travis Cox explored the limits of how much technology can accomplish, and asked directly for a Sustainability Revolution, where unity and diversity coexist in a symbiotic relationship. They challenge the blinding notion that technologies are neutral – that the only thing that matters about them is who has access to their controls, that they have no intrinsic qualities that inevitably produce certain ecological or political outcomes. They described deep sustainability as going beyond efficiency and substitution, in service to radical redesign based on a worldview that uses ecology as a metaphor rather than the machine, holism rather than reductionism, compliments science with many ways of knowing, and is grounded in an experiential and intellectual understanding of the unity that underlies the surface diversity of life. Mr. Stuart Valentine showed how an awakening to the abundant flow of energy Is leading the transition to a renewable energy economy. He called for an enhanced corporate performance report card, that naturally takes us to a circular & more spiritual view of the economy. This requires a fresh financial toolbox informed by Nature’s principles to support a new circular economic investment framework. Echoing Gandhi’s message of there being enough for everyone’s need but not enough for everyone’s greed, Dr. Ram Ramanan showed why we should go beyond the triple bottom line (of profit, people and planet) and called for ethical decision-making as the way forward for creating wealth for all stake-holders and not only the shareholders. His ethical values checklist including transparency, reliability, citizenship, and responsiveness. Mr. Ved Nanda spoke about how international law can be a force for sustainability by creating moral pressure, as well as frameworks for guiding ethical decision-making. Dr. Sunita Singh Sengupta of ISOL said that the ancient Indian value system provides a broader context of nature and human sustainability. The concept of Rin (or debts) shows that one should feel grateful for what one has received from one’s father, teacher, the gods, and also the motherland. Ecological insights from Vedas include associating deforestation with the destruction of the state, and reforestation with the rebuilding of the state. And that no creature is superior to another and all have a right to live happily in the ecosystem. And that care should be taken to channelize wealth for organic development of the society. Dr. Shanmugamurthy Lakshmanan of Harvard University showed how using ‘consciousness as the foundation’, science can become complete, by bridging the gap between ancient science and modern science. For example, the fundamentals of Ayurveda (ancient Vedic medical system) can be explained effectively using modern nanotechnology mechanisms from a subatomic, quantum-mechanical level. The event soared high with great motivation from hearing Mr. Gary Guller, the only person with one arm to have climbed Mt Everest. Any is possible, he said, if you believe in yourself and in your team. When challenges inevitably come, you just have to give yourself the permission to succeed. MUM’s President Dr. Bevan Morris, delivered the closing remarks with reading uplifting remarks from Maharishi’s book on ‘Heaven on Earth’. That is the end-goal of all sustainable development, he said. The plan is to establish a new way of life, to eliminate all the unhealthful aspects of the way our lives are lived, and introduce a life of bliss. Video recordings of these excellent talks will be released in due course. The celebration of the International Yoga Day is akin to being the Independence Day for the human spirit. This day should also be called the International world health day. Yoga is preventive medicine. It helps avert danger before it come: ‘Heyam dukham anagatam’. In contract, the modern western medicine is a disease management system. Yoga is about wholeness, about union with the infinite powerful source, and thus about health at every level. The legitimacy of yoga begins to free up humanity and healthcare from the clutches of industrial medicine. In particular, yoga frees people from the clutches of pharmaceutical companies who fund medical research and control the corporate media. World Health Organization (WHO) is likely to declare Yoga as being good for health. That would also free up the practice of yoga from the tyranny of the clinical test system, which is loaded in favor of big corporations and lobbyists. It is absurd to do clinical trials for Yoga to prove general improvement health at all levels. The International Yoga day is also the launch of an effective antidote to capitalism. There is no force bigger than yoga to take on the relentless march of unbridled capitalism, which is corrosive to the human spirit. When was the last time 193 countries voted unanimously to make such a powerful declaration as the International Yoga Day, and practice it in large numbers. Yoga gives people free and effective techniques to provide complete control over their own body and mind. Yoga liberates people from the dictates of the western capitalist medical system which forces us to spend an inordinate amount of time and money in pursuing the medical system. It is also the Father’s Day today. Enjoy with your family and friends. It is also the Summer Solstice, the longest day of the year. It is also a pleasant summer day. So enjoy some time outdoors with nature, and practice yoga! 2014 was a transformational year for me. With my first book published (business intelligence and data mining), this new blog (anilmah.com), new travel (South Africa), a new talk (personal development through transcendence), and more, it was a productive year for me. The next year will surely bring its own joys! Book: I wrote a well-received book on business intelligence and data mining. It was launched as an ebook on Amazon in May. It has consistently sold a couple of copies every day. At the end of the 2014, it was published by Business Expert Press (BEP), a NY-based publisher, in both print and e-book edition. (See the page on My Book). Blog: This blog started in May of the year. There are quite a few posts on it. The topics range from travel to information technology to enlightenment to Vedas to good old Leadership, and more . My first post was a travelogue of my amazing trip to Kumbh Mela last year, and it was a big hit with the readers. My recent post on leadership lessons from organizing community events brought me more followers than all others previous posts combined. I continue to post from lived experiences. Travels: I also had two major international travels this year, to South Africa and to India. The main purpose of the South African trip in June was to teach a course as part of an Executive MBA program. However, it also included visits to Gandhian monuments in Johannesburg and Durban. It also included sightseeing including the gorgeous city of Cape Town. (see my blog post on SA visit). The main purpose of my trip to India In November-December was to deliver a talk on personal development through transcendence at a conference in IIT Roorkee. After that I went to Yog gram for a week-long naturopathic detoxing retreat, and to Rajasthan to see my extended family (See my posts on the visits to Yog Gram and Pushkar). Talks: I have delivered a talk on ‘Personal Development through Transcendental Meditation’ four times during the year 2014, three times in the US and once in India. Each time the talk was very well received. I essentially talk about how Transcendence is an orthogonal dimension to Intellect. For intellectually smart people, transcendence can open up new infinite avenues for creativity and fulfillment. I also share about how transcending using TM and TM-Sidhis over the last 2 years helped release my inner stresses and set me up for writing creatively from the heart and getting a great reception. In addition, I led our South Asia community at our university into celebrations for six major festivals. Three of the celebrations included large bonfires. (See my blog posts on bonfires, and on leadership lessons from holding these events). I am sure 2015 will bring its own joys! 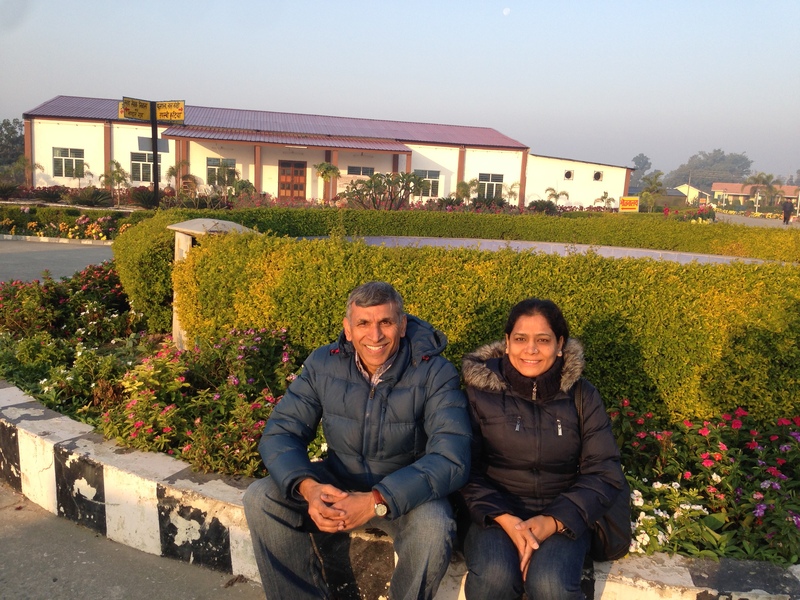 My wife and I spent a wonderful week at the naturopathic institution called Yog Gram near Haridwar in India, last month. This piece describes the nature of our nice and beneficial experience there. Yog Gram, or Yoga Village, was set up just 6-7 years ago by Patanjali Yogpeeth, which in turn is owned and managed by the famous yoga guru Swami Ramdev. Yog Gram is a residential retreat place. It has nice air-conditioned cottages for people to stay for rest, recuperation and detoxing. The minimum stay requirement is one week, and the maximum stay allowed is about two months. Accommodation has to be reserved well in advance, as usually there is a waiting line for getting the chance to get there. The cost of stay is reasonable. It costs only a couple of thousand rupees (about US$40-50) per day for a couple to stay in an air-conditioned cottage. This automatically includes the cost of the ayurvedic food, the naturopathic treatments, doctor examinations, and more. The first thing that unmistakably hits the visitor to this place, is the abundance of flowers. The place is full of fresh flowers of all colors, sizes and shapes. On both sides of every pathway there are fragrant fresh flowers. This abundance of flowers is painstakingly maintained by 30 full-time resident gardeners. Just being in the midst of such beautiful flowers was uplifting for my soul. I called it floral therapy. In addition, the air quality is amazingly clean by Indian standards. The reason is that this place is next to a forest, the Rajaji national park, and far from the nearest city of Haridwar. Another natural benefit is that it is in the land of the Holy Seers, so the vibrations are still there. Between the flowers, the pure air and the vibes, the place is like heaven. When you check in, the doctors in residence examine every health-seeker, and then prescribe the meal patterns as well as the naturopathic treatment for the morning and the evening. The daily routine is reasonably packed with activity. People wake up at 4:30 am and go to sleep at 9:30 pm everyday. In the morning typically there are cleansing treatments like enema, and sutra-neti and eye-wash etc. There is a 2-hour morning session in the Yoga Hall, which includes yoga practice, and group counseling. After a light customized breakfast, one goes for naturopathic treatments as prescribed. After lunch there is some time for rest. Then again there are healthy juice drinks followed by a mud-pack treatment. Then there are more naturopathic treatments in the afternoon. After a light fruit juice, there is the evening yoga session and group counseling. Then there is customized dinner, after which the health-seekers (as every visitor is called) retire for the day. The food is custom-prepared for everyone. We were given something to eat or drink 7-8 times during each day. There are 76 different types of naturopathic treatments to select from, in consultation with the doctor. Among the treatments are many kinds of massages (head, back, full-body, etc), and baths (hot-cold, full-back, steam, sauna, etc), and wraps (for the calfs, or the abdomen etc) to name just a few. We enjoyed and benefited from our stay at Yog Gram. It is a very nice place overall, and a very good value for money. With some minor changes, this place has the potential to become a world-class facility. Currently almost all of the visitors are Indians. The place does not yet offer the privacy of treatment that the western visitors are used to. However, the cost is a small fraction of the cost for a similar naturopathic treatment in the US. So given the value-for-money, soon foreign visitors might make a beeline for the place.